คำอธิบาย: The MiniT series dry bath incubator combine a microprocessor-controlled, a fast heating micro-tube block. 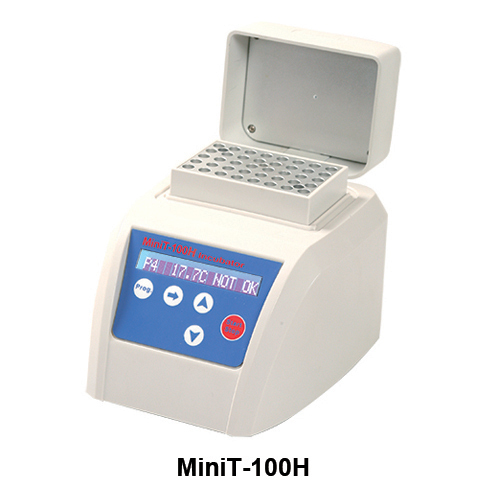 The MiniT series are suitable for a range of uses in life science, molecular biology, environmental and industrial laboratories and a variety of applications including incubation, enzyme reactions, immuno-assays. The small form factor allows these to find a place on even the most crowded laboratory benchtop and easy to move.The temperature control range of RT+5°C~100°C and can be heating lid.